Herd immunity, that beautiful concept that protects the medically fragile from dying of horrible, preventable diseases like pertussis and measles, is a thing of the past in some upscale Los Angeles neighborhoods. Why? Because parents are refusing to vaccinate their children—and in some areas of the city, vaccination rates are lower than war-torn impoverished African countries. 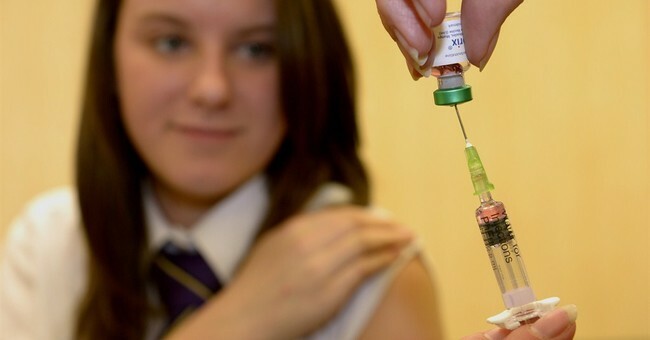 Parents are able to skip vaccinating their children by filing a "personal belief exemption" (PBE) form. These forms are available for parents who do not want to vaccinate their children for either personal beliefs or religious reasons. In some schools, up to 60 to 70 percent of parents have filed these PBEs, indicating a vaccination rate as low as that of Chad or South Sudan. Unlike in Santa Monica, however, parents in South Sudan have trouble getting their children vaccinated because of an ongoing civil war. And lo, it is these very same L.A. neighborhoods that are experiencing a resurgence of diseases like whooping cough, otherwise known as pertussis. Measles cases have also hit a high in California this year. To be clear, not all PBEs are evidence of an anti-vaxxer parent. Schools require either a PBE or an up-to-date shot record for school attendance, and sometimes parents submit them if they simply aren't able to get the shots done on time. Still, the L.A. Times has previously reported that the percentage of kindergartens in which at least 8 percent of students were not fully vaccinated because of the parent's beliefs had more than doubled since 2007, and private-school parents were likelier to file the PBEs than their public-school counterparts. The paper found that the exemption rate for all of Santa Monica and Malibu was 15 percent. This is a terrifying trend. I've written previously about measles outbreaks in unvaccinated communities, and it's terrifying to think of something similar happening in Los Angeles and spreading throughout the nation. Vaccines work. Vaccines are safe and do not cause autism. I'm thankful to have grown up in a time where I didn't have to worry about catching measles or polio. Americans have no excuse not to protect their children from these horrible diseases.